PSV and Club Brugge face at ASPIRE Dome Hall 1, in what is to be the first friendly match of the year for both teams. These two teams have never met before, so this will be the first head‑to‑head between them. Club Brugge registers significant differences between home and away results, so special attention is due to the home/away factor. The home team plays its first friendly match of the year, after having played 4 friendlies last year, with the following final scores: PSV (2‑1) Valencia, PSV (4‑0) Olympiakos Piraeus, Galatasaray (1‑3) PSV and Neuchâtel Xamax (1‑1) PSV. This is a team that usually maintains its competitive level in home and away matches, since in the last 30 matches they register 10 wins, 2 draws and 3 losses in away matches, with 37 goals scored and 17 conceded; against 10 wins, 3 draws and 2 losses at their stadium, with 45 goals scored and 10 conceded. In their last match, for the Eredivisie, they got a home win against AZ by (3‑1). 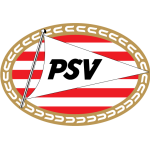 In the last 10 home matches PSV has won 6, tied 1 and lost 3. Their offense has scored frequently, since they have scored goals in all of the last 10 matches. In their home matches there is a tendency for goals, since 21 of the last 25 matches have ended with Over 2,5 goals. They have conceded the first goal in 4 of their 15 matches, but have been able to turn the score around in 2. Confirmed Lineup: J. Zoet, Angeliño, D. Dumfries, D. Schwaab, N. Viergever, P. Rosario, J. Hendrix, É. Gutiérrez, S. Bergwijn, L. de Jong, D. Malen. The away team plays its first friendly match of the year, after having played 5 friendlies last year, with the following final scores: Club Brugge (0‑0) Mechelen, Hapoel Haifa (1‑3) Club Brugge, Steaua Bucureşti (1‑1) Club Brugge, Torhout (0‑6) Club Brugge and Club Brugge (2‑1) Groningen. This is a team that usually makes good use of the home advantage, stronger with the help of its supporters, since in the last 30 matches they register 5 wins, 5 draws and 5 losses in away matches, with 23 goals scored and 18 conceded; against 9 wins, 4 draws and 2 losses at their stadium, with 33 goals scored and 12 conceded. In their last match, for the First Division A, they got an away win against Lokeren by (0‑1). 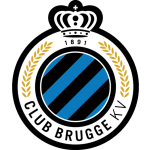 In the last 10 away matches Club Brugge has won 2, tied 4 and lost 4. Their offense has scored consistently, as they have scored goals in 7 of the last 10 matches. This is a team that has had a hard time trying to score first. They have opened up the score in only 2 of the last 15 matches, they have reached half‑time in front in all of those 2 matches and held on to the lead until the end of the 90' in all of them. Confirmed Lineup: E. Horvath, Clinton Mata, D. Cools, S. Decarli, S. Amrabat, M. Nakamba, R. Vormer, L. Openda, S. Schrijvers, E. Dennis.